Julia Clare Tillinghast lived in Istanbul, Turkey, on-and-off for a number of years and developed a passion for the Turkish language, as well as its culture, history and people. 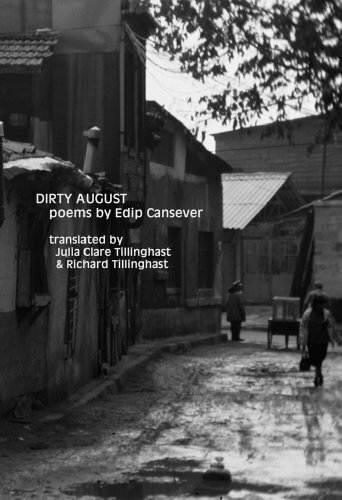 She is translator, along with her father, Richard Tillinghast, of Dirty August, a selected Poems of the experimental Turkish poet Edip Cansever. She is currently working on the poems of contemporary Turkish poet Çiğdem Sezer. Read poems from "Dirty August" on Guernica and Verse Daily. Read reviews of "Dirty August" in The Boston Review & New Pages. Edip Cansever (1928-1986) was one of a group of poets known as Ikinci Yeni, or "Second New," the second wave of Turkish poets to embrace Modernism. Like Orhan Pamuk, Cansever was secular in outlook, looking to Europe for literary examples while at the same time deeply engaged with the struggles of people in his own country and grounded in the life of his native city, Istanbul. Philosophically attuned to Existentialism, his poetry has an exuberance and imaginative range that will remind readers of the French Surrealists.